I might as well start with the most elaborate of the lot…I’m not sure I have that many pairs of shoes but it would be so nice to see all of your shoe choices with one glance. This is small but I like the quasi vanity at the back of the closet. Lighting would be crucial, I love the idea of the glass doors keeping things orderly. I know this is a man’s closet, but I like the layout and it would be nice to have my favorite design books at my fingertips. A jewelry drawer would be fabulous! I love the way this door looks like cabinetry in the kitchen but serves as the door to the walk-in pantry! A pantry behind a sliding door is very cool, it looks like the ‘fridge is in the pantry, not sure about that feature, wouldn’t that be inconvenient? Maybe its the back-up refrigerator. Again, sliding doors, and as you can see this walk-in pantry doesn’t take much space…maybe if we add the breakfast room we can incorporate a space like this. I’m not sure you can see it well in this image, but there’s a really great door on this pantry with leaded glass. The pantry is waiting for me to load it with all my stuff. This one is so well accessorized, it almost looks like a small butler’s pantry. Maybe if I had a bank of cupboards like this I wouldn’t need a walk-in pantry, although there would have to be solid doors, my pantry never seems view-worthy! 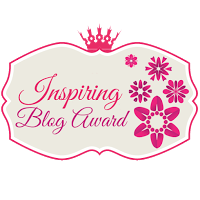 I’m visiting the Wow us Wednesday linky party over at Savvy Southern Style. Sorry… It’s that first photo you used. It just put me in a terrible mood that is not my closet. Lol! I am laughing at the conversation above:) ALL are gorgeous Karen and I will need to pin a few. I have a small walk in closet that’s in desperate need of organization. It’s SO expensive to have even the smallest closet done! As far as pantries go.. I have a very odd set up in our current home. Although I have a large kitchen that is perfectly suited for a walk in .. the (male) builder opted out.. so I’m stuck with weird cabinets that I’ve simply accepted over the years. With our kids gone now it’s likely we will move and THEN I will have the walk in!! I just realized I needed to change to my new blog name! Now HERE are some great ideas! I have a walk-in closet and a (small) walk-in pantry, but nothing that looks even remotely as amazing as any of these. You know how much I love posts on organizing and this one really appealed to me. I’ve never had a walk-in pantry and probably never will but that hasn’t stopped me from dreaming. I have a walk-in closet that I share with hubby – who isn’t the neatest of guys. Loved that kitchen drawer at the coffee/tea “station.” I’ll need to re-arrange mine. Right now, it’s full of cat food! I sadly do not have a walk-in pantry and my walk-in closet is exactly that..a “walk-in” closet. Once you walk in..you’re in the middle of it, there isn’t much walking around after that. 🙂 I don’t know what I would do with all that space. I’m so used to sharing my little space I’ve become a bit of a minimalist with my wardrobe as I don’t have room for much else. I might be better off with my small closet space. I do, however, have major pantry envy after looking at all those gorgeous pictures. I’d love to have all my serving trays and small appliances organized rather stuffed in places that make them so hard to get to and use. I never know where to put half of my kitchen “stuff” in our quaint space, I can’t imagine having a space dedicated just to coffee sweeteners and creamers…ahhhh to dream!!! oh karen, ditto to a walk in closet, yes a total dream! this 1850 house has slivers for closets. i tend to wear the same thing over and over because i can only reach what is right in front of me otherwise i am sucking it in and walking sideways like a crab, tripping over shoes & putting my hair in total disarray to reach anything else, shameful!! I have neither 😦 But I do have a small walk-in china closet. I’m thinking of wallpapering it! Something fun!! One day when I have some free time. I would love to have a walk-in closet that also serves as a dressing room. But I’d really love a pantry. ANY kind of pantry…..I just have a small cabinet that “serves” as a pantry. I definitely have pantry envy! But I shouldn’t complain because we are blessed with a lovely breakfast area. Oh…..I would LOVE to have that drawer for tea bags and Nespresso capsules….be still my little heart! That’s fantastic!!! Yes… we had a large walk-in pantry in one of our homes and I loved it! My next door neighbor said it could have been a whole other room, it was that large. And maybe that is what helped to inspire me to start my own baking business as it could house all the large containers of flour, sugar, confectioner sugar, baking pans, etc. I loved it! In all the 13 homes we’ve lived in, that was the only one that had a walk-in pantry. And as we are downsizing, I doubt it will happen again. So maybe it’s time to move on to turning a spare bedroom into a walk-in closet??? Shopping, anyone???? Great pics with great ideas! Wow, that sounds great. You are obviously a great baker, that is something I’ve always admired. It truly is an art to bake well. Nice career inspiration, a walk-in pantry. lol. We are probably past the point where we would ever add a walk in pantry to our house, but its sure fun to imagine how you’d use it if you had one, isn’t it? A truly inspiring post – I want to reorganize EVERYTHING in my house! This is our first house that has had a walk-in closet and I’ve found it to be very practical. I only wish it looked half as impressive as the ones in this post. As for the walk-in pantry, it was a priority during our kitchen remodel. Sadly, it was impossible unless we gave up the kitchen nook ( not a trade off that I was willing to make!). Maybe our retirement home will have one….I can always dream! Probably not—I don’t think I own enough clothes to fill some of them! hahaha.